It was back in November 2015 that Black Friday began to expand its roots in South Africa. Consumers who were still new to the promotion supported retailers unsure of what Black Friday was. In 2016, retailers became more serious about their offerings and began to advertise and create excitement weeks and days before the sale. This ultimately resulted in growing crowds across shopping centres throughout the country as retailers increased their offerings while more joined in on the sales opportunities. In 2016 the Black Friday promotion was dominated by supermarkets and electronic store sales that offered deals of up to and over 50% off selected instore items. Shoprite Holdings Ltd online newsroom stated that Checkers upped their sales for the 2016 Black Friday promotion with over 40% more product offering than in 2015. The response was over-whelming for many shopping centres with over 71% reporting that they had the highest influx of footfall year on year with an average increase of up to 13 % in the month of November. Last year Black Friday celebrated its third birthday in the country and South African consumers took to shopping centres in their masses to maximise on the deals on offer. Some retailers opened their doors at midnight and not surprisingly were well supported with the additional benefit of most centres offering free parking. Lebogang Mokubela, founder of township-based retail marketing company Lemok Group, says that Black Friday owes its success to the marketing. “Marketing and advertising campaigns have been exceptional with millions of Rands being invested to draw crowds to their offerings. This has ultimately been the reason for such amazing profit numbers. Taking a look at shopping centres across the country with a combined GLA of approximately 23.4 million square metres, an average of 3.2% of tenants participated in Black Friday in 2016 and an average of 21% of tenants participated in Black Friday in 2017 – an increase of 17.8% year on year, Mokubela says. Small regional shopping centres indicated a growth average of 31% year on year. I am keen to see this year’s numbers,” he said. 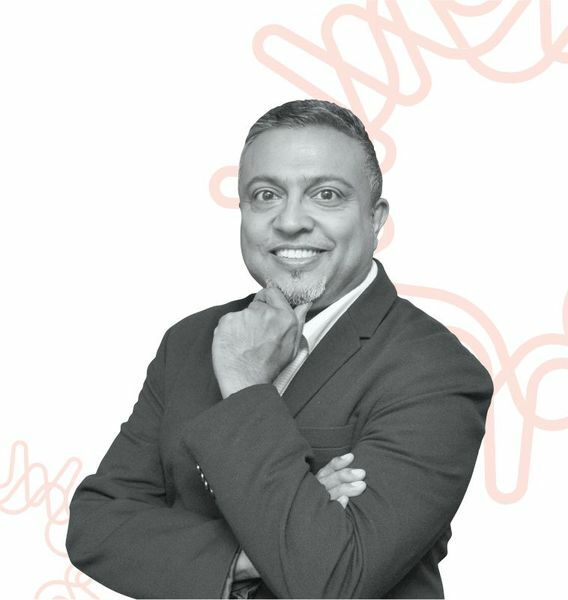 Taleo Retail Advisory’s Chief Executive Officer Sash Padayachee said that a recent survey conducted by Black Friday Global, indicates that an average South African will spend approx. R1654 during Black Friday this year. “It’s plausible to predict that customers may be strategic in identifying specific products for purchase with their constrained resources. Fashion as a category faces increased challenges due to sustained and intensive discounting across 2018 which has resulted in a new pattern of purchase-the ‘strategic wait’. Customers are acquiring fashion at discounted prices at the Season end, rather than the Season launch, resulting in a cycle of fueling the discount frenzy further. Increasing the transitional merchandise assortment may remedy the above situation,” he said. Sash further added that optimum staffing is a must to maximise sales conversion. “Remember, customers choose online for convenience and instore for interactivity, which is often elusive in SA retail. The only reassurance is that South African customers have historically relented in submitting to door-busting deals and spend at last moment which could result in a bigger than ever Black Friday in South Africa,” he concluded. 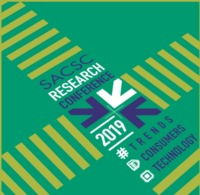 Urban Studies recently conducted market research on behalf of the South African Council of Shopping Centres (SACSC) where surveys were conducted amongst medium to large shopping centres throughout the country regarding Black Friday. Dirk Prinsloo of Urban Studies said the expectation was that this year’s Black Friday will be the busiest ever. “Most centres expect an increase in footfall and in turnover. Smaller centres in more affluent suburbs expect less impact - this will only be a normal Friday in these centres. This is however the exception. Advertising on radio, TV, press, billboards and social media is already much more than previous years. Some of the large super regional centres expect shopper crowds of more than 130 000 people on Black Friday. This is twice the capacity of Ellis Park Rugby stadium. Most regional centres expect between 70 000 and 80 000 shoppers on Friday,” he said. Dirk further added that the expected retail spend for December 2018 is between R126 billion and R128 billion. “Economic conditions are tough and the consumer will remain under pressure. The expectations of the shopping centre owners will be dealt with in the ‘follow-on’ study measuring the impact of Black Friday 2018,” he commented. • More retailers are joining the Black Friday sales promotion year on year. • Category offerings are not limited to just food and technology. Fashion and apparel, jewelry and homeware as well as décor retailers are also participants of Black Friday. • A large number of shopping centres are offering free parking on the day for customers. Makro has announced details surrounding its Black Friday 2018 sale. The retailer said that its sale will run over a five-day period, from 21 to 25 November with over 26,000 lines on promotion. Makro has also extended its trading hours over this period (Wednesday to Friday- 08h00 to 18h00, Saturday from 08h00 to 16h00 and Sunday from 09h00 to 16h00). As part of the sale, Makro said that it will be rolling out a number of new initiatives to improve the shopping experience over the Black Friday period. Power Fashion has planned a day of ‘unbelievable value’ for its customers, offering fashion items from as little as 20c. Noel Otto from Power Fashion said that customers and staff will all enjoy the atmosphere that Black Friday will bring this week. “As we’re no stranger to crowds, we expect very festive stores, who will welcome early risers as they take advantage of extra early trading hours. Black Friday has great relevance to our customer. Savings are not optional for some South Africans but rather a necessity. Black Friday is a great opportunity for all of us at Power Fashion to live out our purpose of bringing dignity to people, through the affordable fashion which we’re able to serve them,” he said. Noel further added that Black Friday will impact on their December trade. “Being on the back of Black Friday, we must assume that a portion of Christmas’ expenditure will be shared into the tail of November, by virtue of consumers hunting down the best value from their year-end buck. This will impact “Christmas numbers” only in the sense that shopper behaviour will disrupt historic patterns, but through proactive budget planning, this won’t mean a slump in turnover for the quarter. In fact, Black Friday is an exciting opportunity on our calendar to invite new customers, who support our healthy organic growth over the entire busy trading season,” he said. Black Friday is gaining momentum at Woodmead Retail Park. General Manager for the centre, Martie Zimmerman said that over the past 3 years only certain retailers at the centre have participated in Black Friday with more participating every year. “Last year, the centre arranged for a ‘Shop and Pop’ promotion where customers presented their till slip to pop a balloon to win a prize. This proved to be very popular. This year, we are expecting a larger crowd as Dion Wired has requested that they open at 12am on Friday morning. The retailer expects customers to queue from as early as 8 or 9pm on Thursday 22 November. The centre has arranged additional security as well as armed response and will also be closing off various sections of our parking to secure the rest of the premises and other tenants not trading from 12am. Dischem and Pick n Pay are also participating in Black Friday this year and we are expecting customers from as early as 7am,” she said. Pierre Hugo, centre manage for Alberton City is expecting bumper crowds this year on Black Friday. “Quite a number of the tenants of Alberton City are offering Black Friday specials this year, most of which will only be unlocked after the 20th of November 2018. The centre will assist by posting specials offered by our tenants on our social media i.e. facebook and website to make it easier for shoppers to plan their Black Friday shopping. Game will open at 12am on the 23rd of November and we are expecting customers to start queuing from as early as 8 or 9pm on the evening of the 22nd already. Additional security has been arranged to give customers peace of mind that they are safe and secure during this time. The centre is also offering free parking at entrance 10 to the first 100 customers on Black Friday,” he said.